The wise Emperor Omadan once ruled over a great empire. The empire flourished, bringing joy to its people and arousing envy in Omadan's enemies. It was after many years of prosperity that the enemies of his great empire launched a relentless invasion. The Emperor's warriors fought bravely, but were overwhelmed by their ruthless enemies. To avoid the destruction of his people, the Emperor made a difficult but wise decision: he fled along with all of the survivors to seek a land where his empire could begin anew. Help Emperor Omadan build new Empire in this Match-3 adventure! 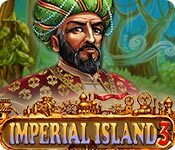 Imperial Island 3 is rated 4.3 out of 5 by 32. Rated 5 out of 5 by Daisy5555 from I like this game Great graphics, good dialogues, funny gameplay, a game to kill time with pleasure! Rated 5 out of 5 by isis1313 from Finally a Match 3 Worth IT I usually don't bother with match 3 games because I love the Jewel Quest series and nothing seems to be as good however I came across this series and I have to say I'm LOVING it!! Especially being able to restart a level without losing life, etc and if it's a difficult set I go to untimed and then back to timed all under the same player/game-great to have that option when it's a tough one. Awesome game!! 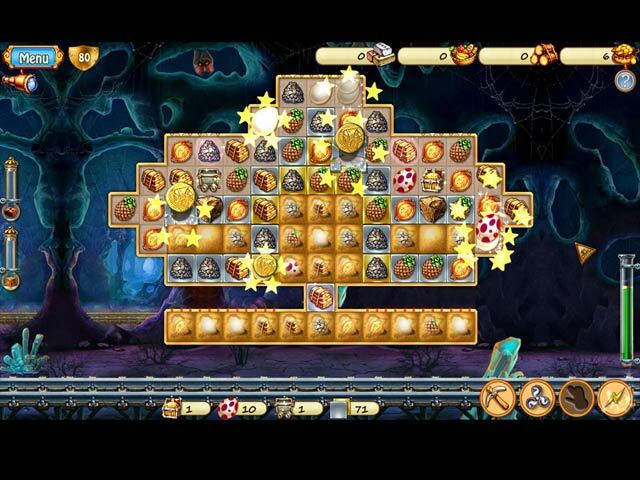 Rated 5 out of 5 by Psalena from OMG I loooooove this game... It is my favorite game of all time (thus far). I played it a second time and it had different items( I love the colors in the balloons, the starfish, bell ,etc). I was so addicted to this when I first start playing that I neglected my husband :( I loved the moving background..... To the developers , BRAVO !!!! You have a fan for life, no one could ever like this game more than I except for the developers of course. WOW, WOW,WOW !!!!! Rated 5 out of 5 by nelliebj from Another great Imperial Island I love this game. Challenging enough to make it interesting, really great graphics and the story line is ok... albeit a little wacky. Another island to decorate. It's not a difficult game except for the octopuses ... octopi? They can get you if you let them. I play untimed but with those things (they still look like spaghetti monsters to me), you have to be quick to make matches next to them or they can take over the board. A few new things from the previous games... the green lock is one. It reverses your board. You have to be careful or you can get stuck and have to replay the board. More of the spaghetti monsters than before but they make it interesting and with power ups, you can get rid of them easily. Thanks developers for a great new Imperial Island!! Rated 5 out of 5 by denniann2 from a great M3 game i loved playing this game. some of the levels were challenging but that is ok. there are timed or casual options. i played casual. there were great power ups that recharged but took some time, but even that was ok. the graphics were incredible!!!!!!! very long game. well worth the money!!!! Rated 5 out of 5 by joline4 from another one! Loved this game...can't wait for Imperial Island 4, hopefully, to come out.. Rated 5 out of 5 by Ferretjenny from Fun Match 3 This game is real fun! Wish it could be released more often of this kind! I can play for several hours. I will not tell you the details if there is anyone who reads this and who have not played it yet, but you will not regret it. I suggest that you buy the game so you can play forever! Good Luck everyone! Rated 5 out of 5 by verimeri from Excellent This is a game that continues the story. In this episode new lands have been discovered. It is great fun. Rated 5 out of 5 by PATinPNS from What a Change from the Last One This is posted after completing the entire game. I almost didn't give this one a second glance, because of the disappointing second edition. It was horrible. I am so glad I didn't listen to myself. I really enjoyed this one! I've spend the last four days, off and on, playing and just completed it. It was a fun few days. The graphics were excellent. As you build the expansion of the Imperial Island, it brought back memories of the first game. There isn't a lot of sound with the exception of the music which is on a loop, but it isn't horrible. They added a new twist to the game where it announces you have found a bonus of some sort, but that's about it for sound. The effects were very well done. This game offers so much. It has not only the match 3, but hidden objects as well. It seems as though they gave me more of those dreaded monsters which pop up out of nowhere and another twist, the green key which inverts the field. Just a word of caution. Be careful when you activate them, because it can get you into a world of trouble. 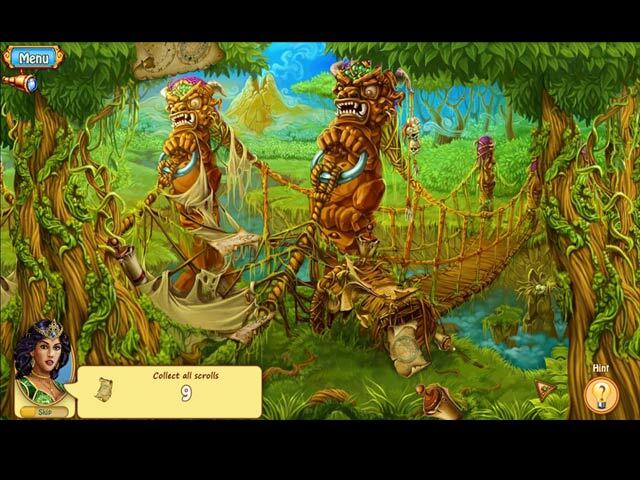 It offers a challenge in the match 3, but the hidden objects are very simple. This is one of the best, if not the best, match 3 I have played. Not much to the story, of course. 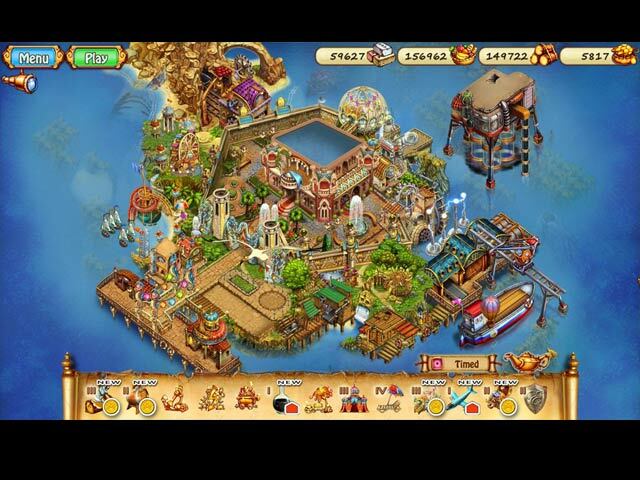 You're building the island, fight off dragons, pirates and other nasty things along the way. I'm really excited about this game and in a few weeks I'll play it again. I was really sorry to see it end.